Ascolta "Small towns Microstock" su Spreaker. It takes time to make money. that money is not worth the effort, at least compared to what I make with my other digital projects, but in the future, those $2,000 can double, and become figures that make me say that it was worth the go. I know that many of you can say that $2,000 are much, since microstock is a job for me, but can be a good excuse to travel for other producers. Why you won't make has much money has I do. I know what to do if an unexpected event happens. I'm talking about the wrong weather forecast, not something really bad, and I know how to shoot fast and accurately. Second because two years and a half later, competition is stronger. I'm gonna tell you something to make you understand that mine is not luck because basing the business plan of your life on the fluke is the worst thing you can do. Before leaving for a trip to create microstock, if this trip is as important as it was in Paris and London, I start two weeks before getting up in the morning very early and walking at least 15 km, just to get into the right fitness, like a player training for the Olympic Games. I'm a decision maker, who can take the decision very quickly. Maybe sometimes I'm wrong, but the stalemate is not a situation for me. because you don't have time to shoot the cathedral. But it also happens in Paris, where you can't shoot the cemetery of Père Lachaise where a lot of famous people are buried, because Père Lachaise is quite far and big, and shooting there it would mean not shooting 4 other subjects. As a tourist, I would gladly return to the grave of Jim Morrison as I did the first time I visited Paris in 2001, as a microstock contributor I avoided doing so in 2015, even if that decision hurt my heart. Shooting microstock of small towns. but it also happens in smaller towns. Today is very difficult to find a European city with more than 100,000 inhabitants that does not already have more than 100 videos published on Pond5. are still profitable, but just if you shoot them in one day. A great producer can be paid for the hours he spent to shoot there, while a good producer can just repay the flight with his sales, that is something that many photographers would like to. Considering that Europe is operated by a lot of low-cost flights, if you come from another continent, you must know that moving from Rome to London is not expensive. Sometimes the flight ticket costs less than 50 euros so, if you arrive in the city and maybe you shoot in spring, which is the best season to create microstock, you can still make money with European cities. 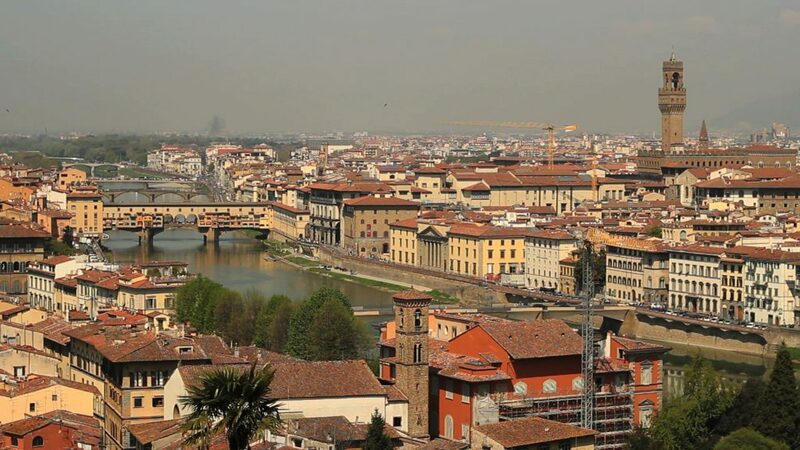 Speaking of money and focusing on Italy the cities most requested by buyers, as I said, are the 4 most visited by tourists: Rome, Milan, Florence, and Venice. Florence and Venice are less profitable than the other two. Let's say today you can make one dollar with Venice and 10 with Milan. But Florence and Venice are small cities, and you can visit them in just one day, at least as a microstock contributor. without being able to enjoy the view. the most important Café, that usually is a place that has a few hundred years of history. other subjects that can change depending on where you are. If you had never been there, staying in Padua or in Verona, the city where Romeo and Juliet was set, just for the 2 or 3 hours you need to create microstock, would be like watching a basketball game that goes to extra time and having to leave the arena before the end. I know that I'm not telling you something that you want to hear, but as I wasn't born in a rich family, only the microstock has allowed me to visit half of Europe, since my sales have always paid my travel expenses. So if you want to be like me, this is the only way, and I'm sorry to tell you that you won't have the time to drink a beer or to visit a museum. Resilience will save your life. 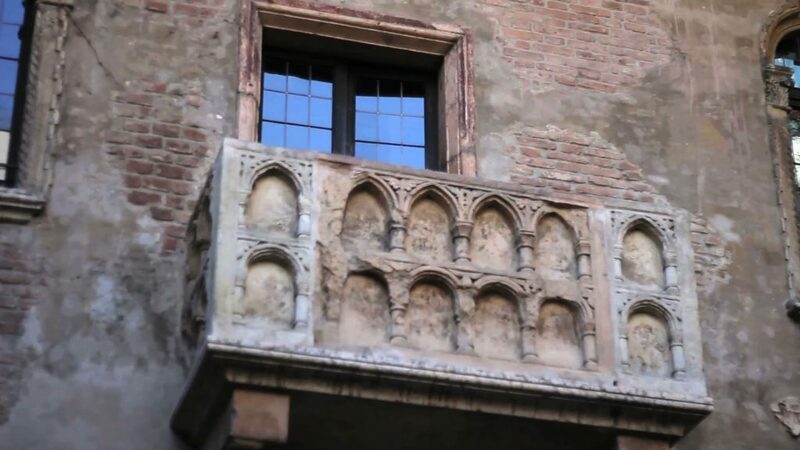 so it is probable that there is not already a perfect framing of Romeo and Juliet balcony on Pond5's collection. Do you understand what I'm trying to tell you? I may think that many of you think that they have found the golden eggs. If you found microstock in 2006 probably, yes, you would have found the golden eggs, but not today. Good old day of microstock. programmed the camera to shoot a photo every 10 seconds. came back in the garden after an hour. Being an entrepeneur of a free person? hire three models for every shooting session. make them recreate a series of scripted gestures that express a concept. then start again to shoot on Monday. the equipment. And if you don't earn, it could be a big problem for your life. In this world, you're not rich only if you've got money, you're rich if you feel free. I'm curious, did you think about this? Or microstock is just something like well, that stupid man on the podcast made $2000 with a time-lapse, so I can make $3,000. Okay, go on, and send me an email next year to tell me what happened. Now the second part of the episode starts. At the moment I don't use chapters because I'm very busy in creating new features for microstockguru.com and I don't know how to do it, even if someone says that is very simple. Someone wrote me to tell me that my answers to your questions are the most interesting part of the podcast, so why not answering more questions today? La Paz and Buenos aires footage. There is very little content of South American cities, such as La Paz or Buenos Aires, where I would love to go for a vacation. Do you know if it is so because they have little demand? Can it be a good niche? South American producers are not many. There is an interesting document released by Shutterstock a few months ago that talked about this. Do you know what are the Countries with most producers? Not USA, but Russia and Ukraine. I don't really know why. and it tells you if that subject will probably sell. Use the online tools, don't trust your opinion, trust data. By the way, greetings to all the people who listen to me from South America. Probably saying South America is like saying Europe, where there are huge differences between Countries. At least you all speak Spanish, except for Brazil. We speak instead dozens of languages, because we have thousands of years of history and divisions behind us, even if now we're moving to become a single Country, regardless of Brexit, but I don't want to talk about politics. When you create a daylong time-lapse, and so the light changes from night to day, do you always work in M pose or do you work in aperture priority? If you stay in M pose, what do you change when the light conditions change? To stabilize the sequence with Adobe After Effects, what do you do in this case? The question is very technical and for this reason, I love it. The time-lapse from day to night is very difficult. Just in that case, you should work in AV, that is aperture priority, and then correct the flicker with an After Effects plug-in called GB deflicker, which I explain in one of the lessons of my course. Time-lapses from day to night, or vice-versa, last for hours, so they are the best choice only if you make a lot of money, because of the time you spend to produce them. 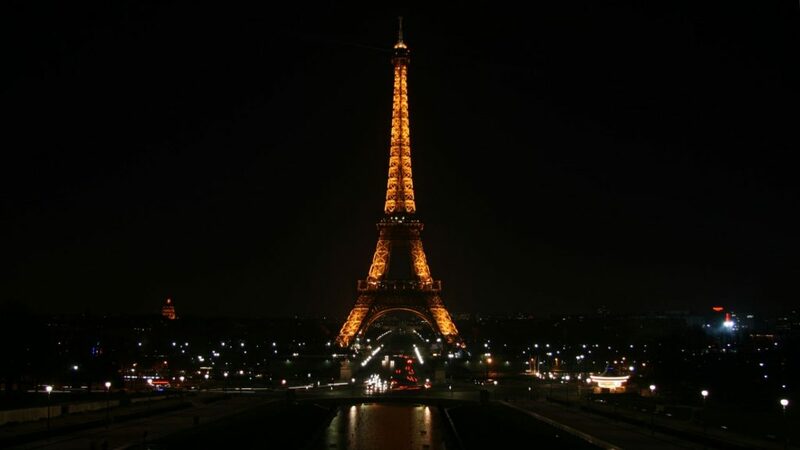 Think about this: if you are in Paris and you want to shoot the Eiffel Tower from Trocadero with real-time footage, there are already thousands of clips like those online. If you create a time-lapse from night to day, you will be one of the first to publish it with good chances to make a lot of money, but in that day you will spend for creating the sequence, you can shoot dozens of clips in the city that together are more profitable. Is that time-lapse worth doing? maybe you're rich and you don't want to shoot for money. I don't know, you have to decide my friend. About the second part of the question, I'm gonna give you other technical information that is not easy to explain in a podcast. The After Effects movement tracker, which is the best on the market, has a parameter that allows the user to set the tracker to stop and be repositioned manually when the movement it is tracking has a reliability less than a certain threshold, that I recommend you to set to 80%. So you can stabilize even in those difficult light conditions, but it takes more time. Once again, you can find all the information in my course. Next question When you export a time-lapse, I heard that you don't use Lightroom for post-production, so I believe agencies reviewers don't make any problem with time-lapses where the histogram is not perfect like it happens with stock images. Is it correct? too much time to spend to make a good post-production and not many sales more. I sound quite boring today, but you have to think that microstock is a continuous calculation on what you spend, in terms of money and time, and what you earn. In my opinion leaving stock footage as is is the best solution. In this case, the strangest thing is that the hobbyist is the photographer who spends his time in post-production, to create stock footage. Further, try to consider that your video will be edited in a timeline with other videos created by other directors. Applying filters to the footage can give problems to the editor, so my advice is to leave your footage as is. Agencies can refuse your footage because the colors are out of range? will sell dozens of times. shaky (even if use the tripod). producing more and better content. Does it make sense to upload 4k time-lapses? While creating a Hyper-lapse, is it better to take a point on the main subject as a reference or shooting without any references because Adobe After Effects will fix the shaky movement? today my suggestion is to produce 4k footage. First because on Storyblocks you get about $200 for a single sale, and second because 4k is the future of production, and being the first to upload that kind of content is always good. I'm telling you because I was one of the first producers who started uploading real-time stock footage in Full HD, and thanks to this I still sell today stock footage created in 2009. After Effects stabilizer is great. I had to delete the video because the quality was too bad. it's better to create a single good hyper-lapse, rather than creating 3 hyper-lapses with bad quality. create your first 10 hyper-lapses in your hometown, because it's a very difficult technique. Microstock created with a drone. What do you think about shooting with a drone to upload footage on microstock sites? If shooting with the drone is forbidden and I sell the content, do I risk something? My friend, I can't answer these questions, at least the second part. I'm Italian and sometimes I talk with foreigners, because I meet them for professional reasons or because I'm on holiday. I tell them that I am Italian and when they understand that I'm a little bit different from the stereotype of Italians, they begin to ask me questions about my Country. Probably questions that have been held in since they started coming on vacation here, or watching the international news on TV. No, it's not true... This is a stereotype... things are a little different than those told by newspapers, and so on. Ok, you're right. Italy is a strange Country. I don't know my friend if you're from Italy like I am. But yes, you can't shoot with drones, but I have a friend of mine in Rome that without any permission made his drone fly over the Colosseum, the symbol of Italy. The drone flew over the head of a couple of policemen and nothing happened. It was a few months ago in times of terrorism danger, and we're so lucky that my friend was just a crazy stock footage producer. wait for the lawsuit that I'm sure it will never happen. Microstock is a global market, Laws are different in every single Country. where must the trial be held? Sorry, but I just wanted to quote another film like I did in the previous episodes. Well listeners, today there were a lot of questions. If you write me, maybe I'll answer you, but please, before contacting, rate me on iTunes, because I need your help to give you more information. This episode lasted for about 24 minutes. I am a great fan of podcasts. I use to listen to them while walking in the middle of nature, and I know that the perfect duration is 15 to 20 minutes, so I hope you agree with me. It is much better to walk than staying in front of a computer or a smartphone to mind your old friend's business. I believe that technology can democratize the world, or at least can improve the lives of people who want to study it, but please stop wasting your time on social networks. Remove that blue icon from your smartphone as I did last year, and I'm quite sure your life will be better. Why it takes time to make money with microstock today. Why as a beginner you can't make much as a professional. What you have to do to shoot small towns. Why you have to adapt yourself to new world to have a better life. How good old days of microstock were. Why sometimes you have to choose between freedom and money. If stock footage of South American cities can sell. What to do to create great daylong time-lapses. How to post-produce a time-lapse. If it's worth to create stock footage in 4k. If microstock created with a drone sells. I want to thank all those fans who clicked on the little heart of the podcast player embedded in the page of my website that I linked to all the subscribers of my newsletter, and thanks to all the guys who shared the last episode. Please do it too, and don't try to have fun, try to be happier.